Poor and Gluten Free (with Oral Allergy Syndrome): Primal Cuisine: Cooking for the Paleo Diet and a Giveaway!! Primal Cuisine: Cooking for the Paleo Diet and a Giveaway!! You don’t have to be on the Paleo diet to enjoy this cookbook. Take me, for example. I’m gluten intolerant, allergic to nuts and most fresh fruits and vegetables, and barely eat any meat (I was a pescatarian for 8 yrs until discovering all my allergies, then my allergist suggested I try to diversify my diet and I added a teeny bit of free range/organic poultry). I’m practically the worst candidate for a diet based around our cavemen ancestors. That’s why I was pleasantly surprised by Primal Cuisine: Cooking for the Paleo Diet by Pauli Halstead. There are some beautiful recipes in this book. The author, Pauli Halstead, is a long-time chef and caterer, and it shows in her cookbook. Her recipes look and sound gourmet, but are easy enough for the average home cook to follow. While titles like “Santa Fe Chipotle Chili Soup with Lime Cream” and “Grilled Prawn Kebabs with Chipotle, Cilantro & Lime Dressing Sauce” may sound complicated, they hardly take many steps at all. And don’t worry, they’re not all Chipotle-style! There’s a lovely fusion of Asian, Tex Mex and comfort foods. I’m particularly looking forward to trying some of the Thai dishes! Overall, I really like how clean and simple these recipes are. ALL the recipes are gluten free, and if you have issues with nuts, dairy or meat, never fear, many of the recipes can be done with minor alterations. In fact, Pauli often even suggests alternatives for those with dairy issues. Now I’m not necessarily an advocate of the Paleo diet as a long-term lifestyle choice - and with all my dietary limitations I'm not in a position to give up the few remaining grains I can eat - but I certainly don’t think it would hurt to include some of the dishes in Primal Cuisine into our weekly meal plans! You can find Primal Cuisine: Cooking for the Paleo Diet on Facebook, too, for regular updates and cooking tips. 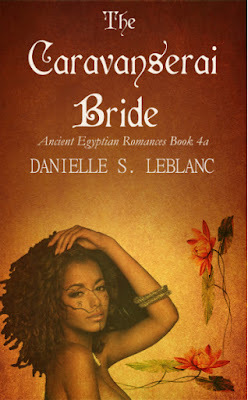 ENTER TO WIN A FREE COPY OF PRIMAL CUISINE HERE! 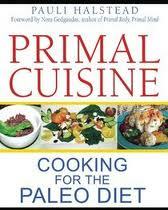 Disclaimer: I did receive a free copy of Primal Cuisine for review. Acceptance of a product for review, however, is not a guarantee of a good review.